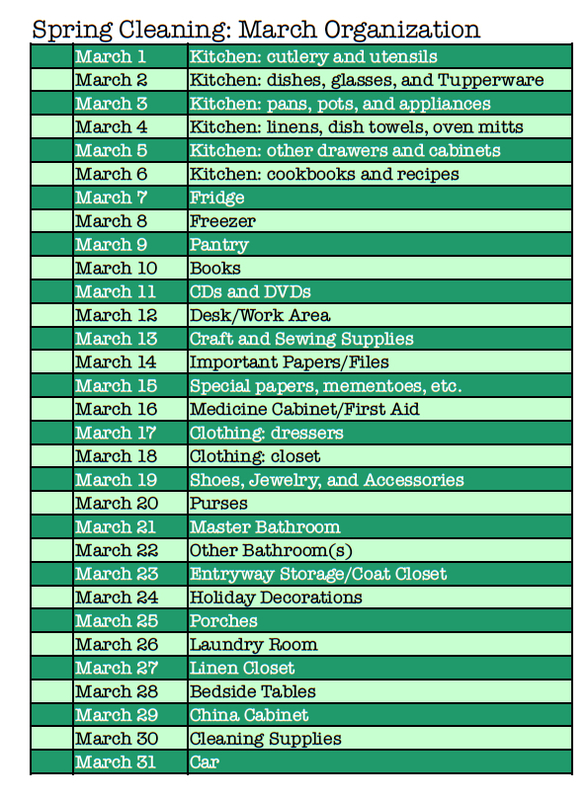 I've decided that March is going to be a productive month for me. I've got two calendar plans lined up - one from this website for building some tummy muscles, and one I created myself for organizing and decluttering our house. I started both of them yesterday! Let me know if you want to follow along with either... I'd love to have some company! 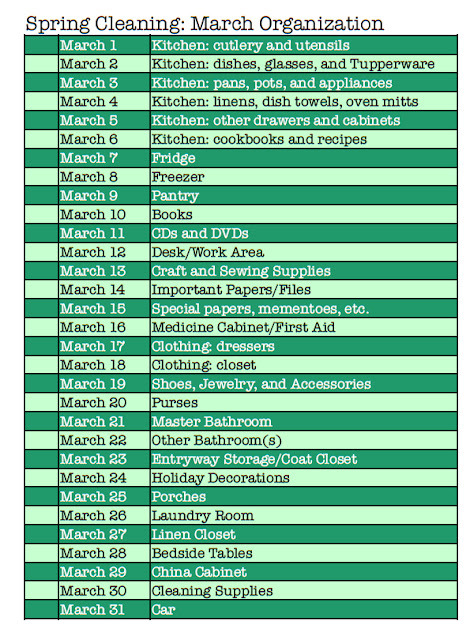 I need to follow this spring cleaning guide. I have wanted to do a room by room clean out for months now and still haven't done it. I should start! And definitely need to do the ab calendar. Sounds like you've got a fun spring break ahead of you, ha ha! I hope you don't spend your very last one just cleaning and doing crunches! I need to do some serious spring cleaning, too. PS. I nominated you for a Liebster Award. Check out my blog for more deets!